Just six weeks away, this year’s annual microgrid conference — Microgrid 2019: Shaping the New Electric Grid — has set a new record for company participation. Now in its fourth year, the gathering of industry thought leaders, has attracted unprecedented support, a waiting list of speakers and presenters and its greatest number of exhibitors yet. 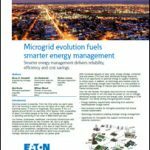 “This is definitely our largest group of sponsors and exhibitors in our four-year history, and to my knowledge it also is the largest collection of microgrid solution providers at any single event,” said Kevin Normandeau, publisher of Microgrid Knowledge and co-host of Microgrid 2019, this year May 14-16 in San Diego, Calif.
“The high interest reflects the industry’s market evolution,” said Elisa Wood, editor-in-chief of Microgrid Knowledge and event co-host. Four years ago, at the first Microgrid Knowledge conference, discussion focused on microgrid proposals and plans. The tone was hopeful, she said. Given the strong interest in Microgrid 2019 — one tour is already sold out with a waiting list — Microgrid Knowledge encourages attendees to register for the conference as soon as possible. Microgrid 2019 features thought leader discussions and engaging panels on microgrid markets, policy, finance and technology. Participants can visit two real-world microgrids, learn about the latest technologies in the exhibit hall, and engage in networking opportunities at the event’s attractive venue overlooking the bay. “We’re also pleased to announce that H.G. Chissell will return as master of ceremonies. H.G. brings an engaging stage presence and a deep understanding of changing energy markets and the customers they serve. He first joined us last year and is a tremendous addition to our conference,” Wood said. 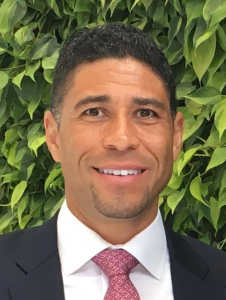 Chissell is the founder and CEO of Advanced Energy Group (AEG), a cross-sector stakeholder platform focused on delivering the pledged clean energy transformation of select US cities by 2050. AEG members and participants include NARUC, Illinois Commerce Commission, City of Boston, City of Chicago, the New York Independent System Operator, Consolidated Edison, Eversource, Commonwealth Edison, Pepco, NYPA, the Department of Energy, NREL, the General Services Administration, NYU Langone Health, S&C Electric, Chicago Transit Authority, Ameresco, NY/NJ Port Authority, Kaiser Permanente, Shedd Aquarium, United Airlines and many more. Before founding Advanced Energy Group, Chissell served as senior vice president of strategic accounts for Viridity Energy, a software/service firm focused on virtual power generation and monetization of distributed energy resources. With his leadership, Viridity achieved first behind-the-meter frequency regulation battery project in PJM, first 1 MW behind-the-meter battery project in Chicago, first full spectrum demand response battery project in New York City and first multi-site EV2Grid project with the Pentagon in PJM and ERCOT and received the Federal Energy Management Program Award in 2014.